You Imagine What You Desire, directed by Juliana Engberg, suggested that art is a form of active desiring – an amorous procedure capable of setting minds of both artists and audiences alight. The exhibition took place over seven venues, with each assigned a particular character. Cockatoo Island housed a fun-ride, ruins, a waterfall and a Danish village: a ‘wild, desiring place where a happy anarchy can take hold’. 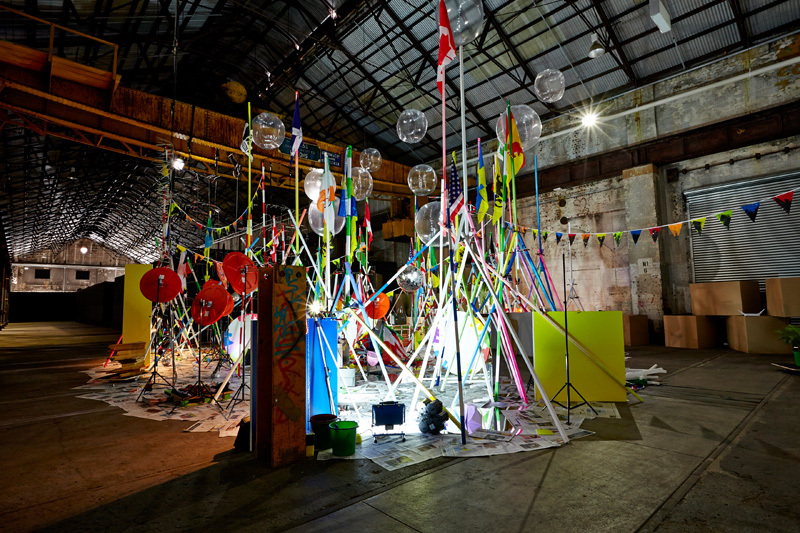 The ‘air/water’ venue, MCA, featured the imaginative and the surreal, and the ‘earth/fire’ space of the Art Gallery of NSW explored the diversity of human, geopolitical and cultural behaviour. 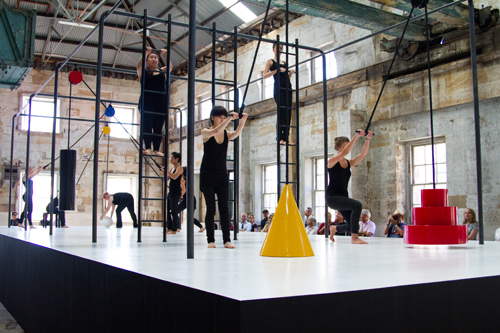 Theatre and film were the focus of Carriageworks, which hosted Tacita Dean’s first live performance work. Artspace featured Ugo Rondinone’s installation of bronze birds, while, in the city, interventions by Bianca Hester and Eglė Budvytytė interrupted citygoers. 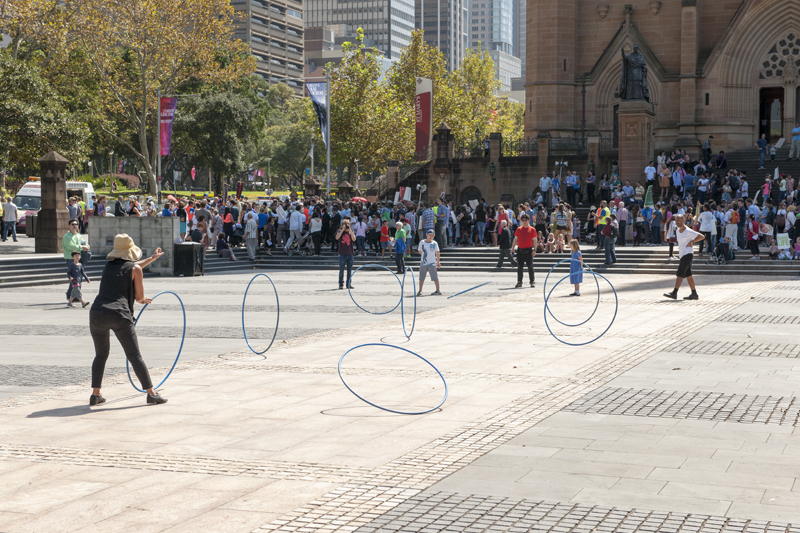 A video walk by Janet Cardiff and George Bures Miller led audiences around The Rocks. Titled The City of Forking Paths, it remained in Sydney as the first City of Sydney legacy artwork. 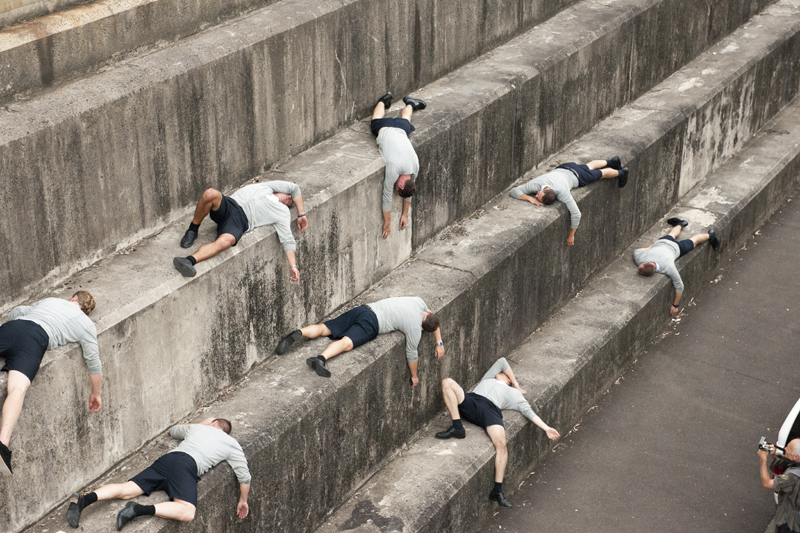 The Biennale concluded with Henrik Håkansson’s film and orchestral performance work, THE END, 2011/2014, at Pier 2/3. 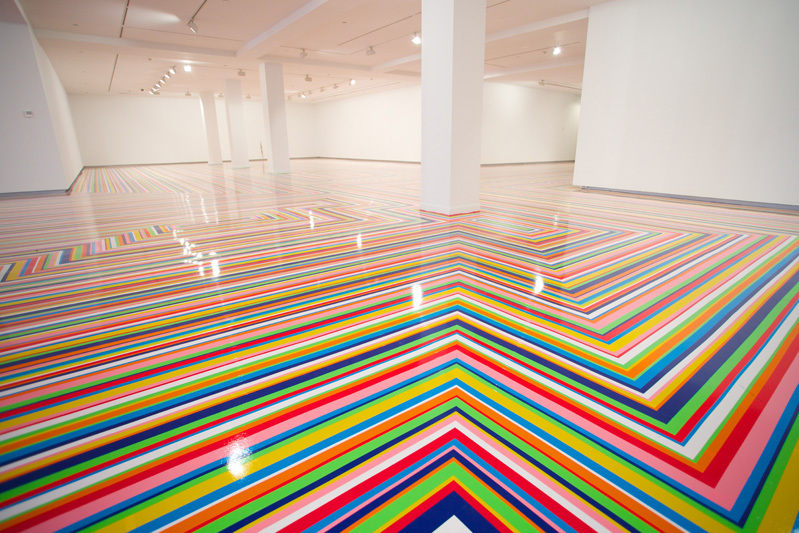 The later stages of preparations of the exhibition in February–March 2014 were marked by controversy and an artist boycott. Nine artists initially withdrew from the exhibition; seven would later agree to present their work. Juliana Engberg is a curator, writer, publisher and designer, and was the Artistic Director of ACCA (Australian Centre for Contemporary Art, Melbourne). Engberg has curated numerous exhibitions at ACCA including: We Are All Flesh (Berlinde de Bruyckere), I Packed the Postcard in My Suitcase (Pipilotti Rist), TRILOGY (Yael Bartana), Appearances (Nathan Coley), ‘(Waiting for –) Texts for Nothing’ Samuel Beckett in Play (Joseph Kosuth), The Water Hole (Gerda Steiner and Jörg Lenzlinger), Eight Miles High (Jim Lambie), Living Proof (Gillian Wearing), A Kind of You (Roni Horn), and Almost Always Everywhere Apparent (Barbara Kruger), as well as thematic group shows including Desire Lines, The Dwelling, Gestures and Procedures, and Cinema Paradiso. 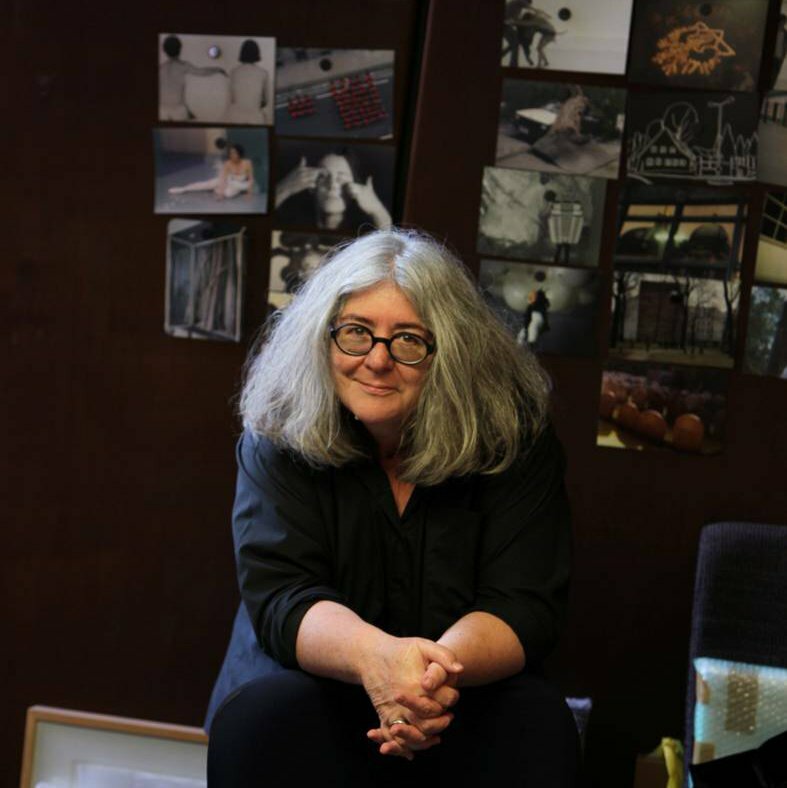 Engberg was Curator of the Melbourne Festival Visual Arts Program for seven years (2000–06), during which time she curated new projects by Tacita Dean, Martin Creed, Daniele Puppi, Callum Morton, Fiona Tan and Van Sowerine. In 2007, Engberg was the senior curatorial advisor for the Australian presentations at the Venice Biennale and recently inaugurated the ACCA POP-UP PROGRAM in Venice to coincide with the 54th Venice Biennale (2011). Engberg received the coveted Herald ‘ANGEL’ award for the visual arts programs she developed for The Edinburgh International Arts Festival 2009 and is the 2013 recipient of the Australia Council Visual Arts Laureate Medal, which honours ongoing outstanding contributions to the development of the Australian cultural sector. Engberg was Artistic Director of the internationally acclaimed Melbourne International Biennial 1999 Signs of Life and Senior Curator of the Art & Industry Biennale, Christchurch, New Zealand in 2002. She has worked as Senior Curator at the Heide Museum of Modern Art, Melbourne and was Assistant Director of the Monash University Gallery, and Director of the formative contemporary art space, the Ewing and George Paton Galleries, The University of Melbourne. Engberg was the inaugural curatorial resident at Spike Island, Bristol, England, from 2000–01. Engberg is Adjunct Professor in Architecture, Design and Art at RMIT University, Professorial Fellow in the Faculty of Art, Design and Architecture at Monash University, and has been a Visiting Critic at the Glasgow School of Art, Scotland, and a visiting juror for the Rijksacademie in Amsterdam. A prolific writer and editor, she has produced over 1500 articles, essays and catalogues for local and international art journals, newspapers, catalogues, as well as contributing to conferences and forums, radio and television programs.